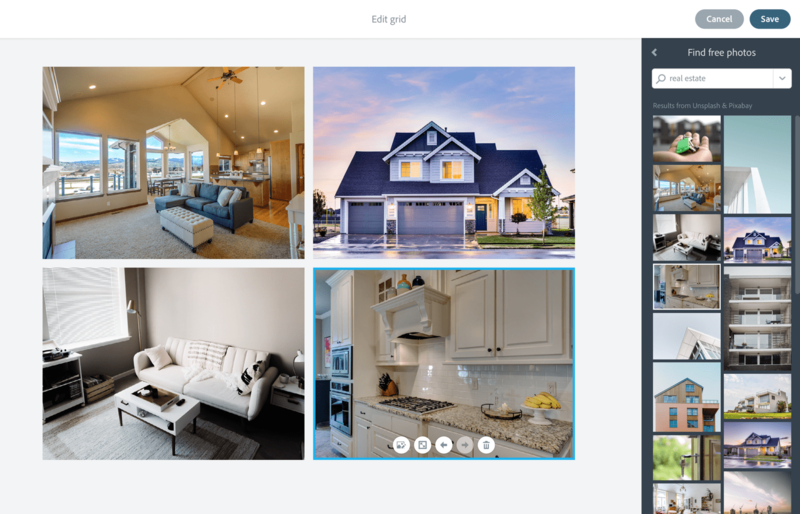 Adobe Spark Review: Does This Site Builder Live up to the Adobe Name? Need to easily create a single-page website with stunning visual effects on no budget? Read our review of Adobe Spark to find out if it’s right for you. Adobe Spark is a new app for the Adobe team that makes creating gorgeous, immersive one-page websites easy. While originally intended to enable the creation of high-quality magazine-style web “stories,” these single-page creations can easily be used as a standalone website. Adobe Spark also comes bundled with a social media graphics creator and a tool to create animated videos. Whether you’re selling a service, publishing journalism, creating a portfolio for your creative work, or just want to build a simple site to share your passion, this might be the tool you’ve been looking for. Adobe Spark is ideal for projects that don’t require more than a single page to get your message across. If your goal is to create a multi-page site, then you’ll have to use a different site builder. Let’s take a look at what Adobe Spark is all about, take a look at its features, and offer some guidance so you can decide if it’s the right fit for your next online project. Why Use Adobe Spark Builder? Let’s Unpack Adobe Spark: What’s Inside? Sometimes all you need is a simple one-page website to get your message across. A lot of internet users prefer to scroll rather than click these days anyway, so with a one-page site you may be able to please your readers while delivering them all of the necessary information. With this builder, you can build a media-rich single page website that can either be entirely separate or be integrated with your existing site. If you’re a business owner you can even use their tool to create a beautiful landing page for your business. Spark is a graphic design app designed to help you “create impactful graphics, web pages, and video stories,” but what does that mean specifically? When creating graphics with Spark, you simply pick your photo, add your text, and select the design filters so that your final image catches your visitors’ eyes. If you have an online store, you can easily create compelling ads and product images. You can also use the images you create on social media. Spark comes with a variety of features to ensure that the size and shape of your image are optimal for whatever platform you are using. A more ambitious project is a scrolling, single-page website reminiscent of a magazine. Creating a website can be a labor-intensive process, but Spark simplifies the process. Bonus: this type of site looks great regardless of the device your users are using. Everyone likes videos, and Spark makes it easy to create your own. You select photos, video clips, and/or icons, and Spark provides professional-quality soundtracks and cinematic motion. Regardless of what you want to create, Spark makes it easy to create top-notch content in very little time. Adobe Spark is the unification of three different Adobe products: Adobe Slate (now called “Spark Page”), Adobe Voice (now called “Spark Video”), and Spark Post — their social media graphic tool. No download is required and your various Spark projects will sync across the devices you use to create, edit, and access them. When you sign up for Adobe Spark you’ll have access to their mobile apps for creating impressive Spark media designs quickly, on the go. The mobile apps let you utilize your iPhone’s camera roll to source photos for your website. Spark Post allows you to create beautiful graphics in seconds. You can use them for a variety of purposes including online announcements, blog post images, social media posts, Facebook ads, or even as banners for your various social media profiles. They even offer support for Apple’s Live Photos as background images, which is a very cool feature we haven’t seen supported by other apps. With Spark Post, you can quickly create professional graphics. Free photos are available to use within the tool itself. No graphic design experience is required. They guide you through the image creation process and the built-in design tools will ensure you end up with a good-looking design that’s properly balanced. There are even features that help you choose the right color schemes and fonts, add filters, and much more. Spark Video lets you quickly create eye-catching videos. The videos you create can be a combination of text, animations, video, images, effects, and audio clips. They have basic video templates you can choose which will give you a workable foundation. This tool is equipped with a voiceover feature that lets you record your own audio, plus there’s a collection of background soundtracks you can use to spice up your video. Whether you’re creating a short visual presentation, or a video to sum up your message, you can quickly create something enticing with this editor. We created this video (above) with Adobe Spark Video. The process is fast (a few minutes). You’ll get the option to search and select photos from Unsplash or Pixabay directly from the Spark dashboard. Note: this video, after uploading it to YouTube, displays at a max resolution of 720p. In January 2018, Adobe Spark began supporting square (1:1 aspect ratio) video formats. Why should you care? Recent research published by Buffer has shown that square videos take up 78% more screen real estate in a smartphone user’s social newsfeed. Square videos also get much higher engagement in social than landscape (16:9 aspect ratio) video formats. Spark Page is their single page website “story” builder and the core focus of this review. With this tool, you can create a single-page site that combines a variety of different media elements like, video, photos, animations, text, and more. You can use the above tools to create engaging elements to include on your web page. The web pages you create using this tool are completely responsive. You can quickly create an engaging, impressive simple site to support your business or brand. 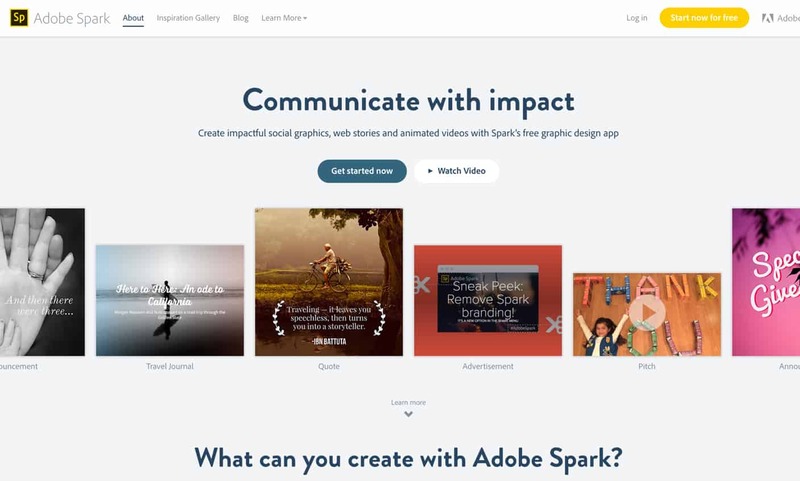 Adobe has further improved Spark by now allowing paid Creative Cloud users to remove the Adobe Spark branding from anything they create. This is especially helpful if you plan on integrating your “story” with an existing website or use it for promotional purposes. The immersive scrolling stories you can create with Spark Page are reminiscent of the groundbreaking multi-media feature “Snowfall,” produced by The New York Times. Spark Page has been used to create travel and other narrative non-fiction stories, invitations, school and business reports, and more. Spark enables you to effortlessly build stunning one-page sites. You can think of the Spark Pages you create as long-form blog posts that can be combined with audio, video, or graphic images to keep your readers hooked. Remember: You can add Adobe Posts and Video inside your Adobe Page scrolling stories. Adobe Spark is equipped with a suite of stellar design tools, but what you would expect from the company behind design behemoths like Photoshop and InDesign? It’s very fast and easy to use and will let you build a visually stunning one-page website in record time. Its design tools are based on the features offered by Photoshop and Illustrator, so they’re very useful, but you don’t have to be a professional to understand how the tools work. They’ve been simplified so even people who have no current experience with design software can use them intuitively to create an impressive, visually sophisticated website. Adobe Spark in the classroom: Find out how educators are using Spark. As you poke around their features you’ll notice plenty of design inspiration. 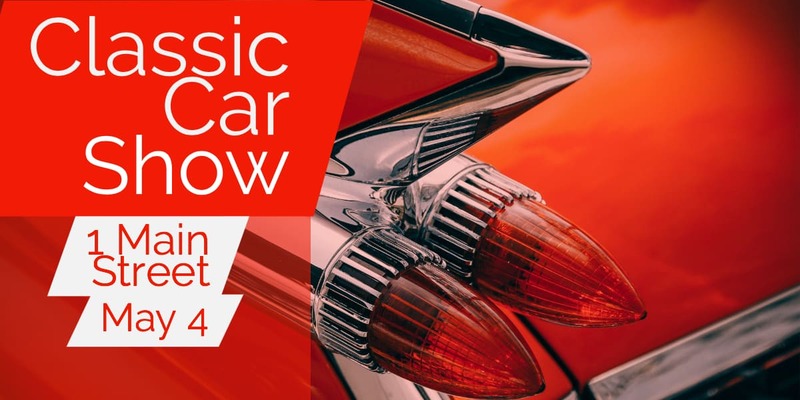 Their expert design team has created a near-endless supply of design components and samples to get your creative juices flowing. Adding a grid of photos to a section of your site takes seconds. At right: search and select free, high-resolution photos to use. Or, upload your own. Just browsing through their library will surely give you an idea of the direction to take with your new project. We recommend also exploring their gallery of Spark Pages created by users. A collection of professionally designed fonts (and font pairings) you can choose from to fit the overall theme of your website. The ability to choose from a library of thousands of professional photos, or download your own images from Adobe Lightroom, Dropbox, Adobe Creative Cloud, and Google Photos. A wide variety of themes to suit every occasion. Just pick your theme, tweak the text, photos, and icons and you’re ready to publish. You can opt for a feature called Glideshow, which gives the scrolling parallax features a very liquid, smooth feel. Your images, text, and videos will flow elegantly. Abode Spark is built with beginners in mind. A lot of their other software offerings have fairly steep learning curves, but Spark has been minimized to the bare essentials, so it’s accessible for all. Building a website: The simple interface makes adding elements, like text, photos, and video, a breeze. You can quickly build a one-page website from your laptop, iPad, iPhone, or Chromebook wherever you happen to be, all you have to do is follow the steps below and you’ll have a website online. It’s as simple as that. To use this builder you’ll need to create a free account with Adobe. You can either do this online, or you can simply download the mobile Spark Page app and start building your site from the mobile app. You also don’t have to create a separate login with Adobe as you can use your Facebook or Google account to log in and start building. You can create sites for free. Hosting is included. This allows you to build your site across multiple platforms, so you can make changes to your site wherever you’re at. To get started building your site, you’ll need to choose a theme. They have a variety of templates that suit an endless amount of niches. When you choose your theme you can also select the fonts you want to use and the overall style you want your site to have. Right out of the gate this will help to give your site a unique look and feel. Plus, if you’re unhappy with your current theme choice all you have to do is select another theme. You can even change themes mid-project, without losing or altering your content. So feel free to experiment. To truly make your site shine you’ll want to add an array of enticing images. Since you’ll be building a one-page website you’ll want to choose eye-catching images that will help to further your message. You can choose from the thousands of royalty-free images they provide, or you can upload your own images from places like Dropbox, Google Cloud, and more. If you’re accessing the builder from the mobile app you can use any photos stored on your phone on your site. With the basics in place, you can start adding custom elements to fully build out your website. 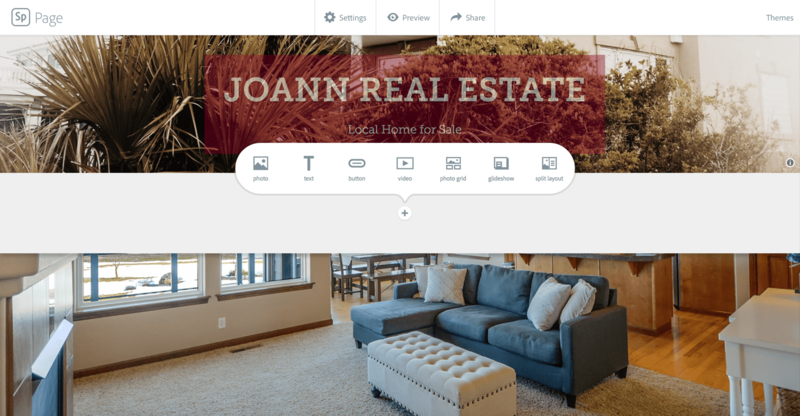 Just click the little plus sign and you’ll be able to add things like additional text, images, slideshows, photo grids, links, videos, or buttons. With the preview feature, you’ll be able to see what your website like looks like as you build it out. This means you don’t have to wait until the end to see if your site flows together properly. Once your site is complete you can publish and share the result. They make it easy to share and promote your new visual project via social media. You also get you a downloadable embed code that lets you embed your page into an existing website. Their online app supports most modern web browsers. However, their mobile apps will only work on iOS devices. You could use the app solely on the web if you only have Android devices, but if you want to build your site on the go, then you’ll need to have the Apple iOS. The Adobe team has currently promised additional support for Android devices in the future, but as it currently stands they only support iOS devices. Adobe Spark Page is a great tool for a very specific kind of website builder. It offers incredible design options, which is about what you would expect from the Adobe team. If you want to build a very simple (yet visually sophisticated) site for a personal project, or are looking to test a new project before jumping all the way in, then this is a great tool. You can easily add audio, video, and photos to your Spark Page. Below we look at some of the reasons you might want to consider giving Adobe Spark a test drive. The entire suite of tools bundled with Adobe Spark is entirely free to use. This allows total beginners to create incredible designs and one-page websites that rival that of a professional graphic designer. Most free website builders don’t give you this level of access without payment. Adobe Spark lets you play around and publish with their tool all without any investment. In time they might offer paid add-ons, or certainly paid upgrades to access additional features of the tools, but for the time being it’s completely free. Most Adobe products have a steep learning curve to truly master and use the software. Adobe Spark packs the same power of these tools, all while making it accessible to complete beginners. Quite a feat. Once you sign up you’ll be impressed by how quickly you can get your one-page website “story” completed and online. For users who don’t want to handle their own hosting, you’ll also be happy to hear that the site you created through the builder is hosted by Adobe. If you have an idea for a simple story you want to tell, or you’d like to create a landing page to test user interest, then this tool could be a great fit. Once you create an account you’ll be impressed at just how quickly you can have your new site online. Especially, since you don’t have to go through any additional steps to host your site. Just choose your theme, customize it to your liking, then click publish. If you want to create a multi-page website, for example with a blog, or product pages, then you’ll need to choose one of the other website builders out there. Below we look into a few of the main reasons you may want to pass on Adobe Spark for your website building efforts. The embed functionality of Spark Page is quite limited. Currently, it’s impossible to do a full-embed that allows you to host the content yourself and integrate it into your existing website. Everything you create is always 100 percent hosted by Adobe. Some might see this as an advantage as they won’t have to pay for additional hosting costs, but others might not like the inability to retain complete control over the web page you’ve created. 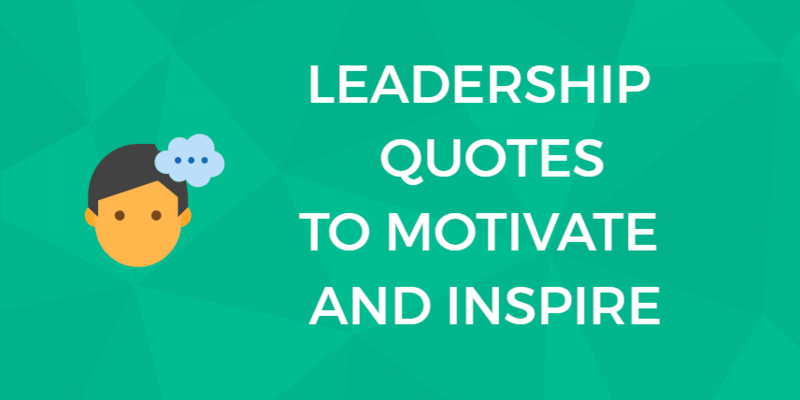 When you embed a page on your site it looks similar to a Facebook post that offers an image and some text. When you click on the embed it takes you to the entire page that’s hosted by Adobe. This won’t be a huge concern for every user, but if you want to keep users on your site while offering an enticing one-page add-on, then you’re going to have a hard time doing it with this tool. Perhaps, as the market share of this tool grows they’ll add more features that give you complete control over the pages you create. It’s worth noting that you can import a Spark Page into Adobe Muse and publish it within a Muse site that you create. Once again, the site builder feature of this tool is for a very distinct style of website. Specifically, it can help you build a one-page website that your readers can scroll through. If all you need is a simple one-page website that offers your readers some basic information in a media-rich manner, then this tool could work. But, you’re unable to build out sites that have multiple pages. It isn’t a traditional website builder in this sense. But, more so caters to quick and simple online projects that only require a single page. They also don’t offer the ability to host your site on your own domain, it’s all through Adobe. So, this tool doesn’t really give you the power to create a site that will become the foundation of your online efforts or to tweak search engine optimization factors. If you use the free version of Adobe Spark you cannot remove the Adobe branding that’s added to all Spark created content. This might not be a big deal for some, but for those concerned with maintaining a cohesive brand experience, might want to upgrade to a paid Creative Cloud account, which does allow for the removal of Adobe Spark branding. Adobe offers three different pricing tiers for Spark. There is a free version, as well as two paid versions. However, by upgrading to either of the paid options, you will get additional control over your website. What do you get on the Adobe Spark paid plan? Adobe Spark is a great platform. It might take a while for its usefulness to catch on and the user base to grow, which would mean additional features for building out your site. But, it’s a fun tool to play around with nonetheless. Don’t expect to use this tool to help build out the foundation of your online presence. But, instead to be a supplement for when you want to experiment with a new content format, tell a story related to your business in an engaging way, or want to test out a new service or offering, without making it a part of your existing website. The design tools offered cater to beginner users, so there’s virtually no learning curve. Plus, the speed at which you can launch a one-page website with basically zero technical knowledge is a positive. You don’t even have to create an account with Adobe, you can use your Facebook or Google accounts to sign up for the service. It can be helpful to view this tool as originally intended: a media-rich content creation tool, rather than a full-fledged website builder. But, it’s a great tool to create one-page sites that allow you to tell engaging stories to your readers. Adobe Spark helps to give beginners the ability to create media-rich web pages, without any hassle. Expect the feature set and the usefulness of this tool to grow into the future. Have a question we haven’t answered in the review of below? Contact our team and we’ll do the research and publish an answer here. Are Adobe Spark Page tutorials available online? While Adobe Spark is easy to use you may benefit from a detailed tutorial to get the most out of the tool. There are several online, and Adobe Spark also offers a comprehensive – and easy to understand – set of support material on its website. Is there an Adobe Spark Page app for Android? Starting in 2018, Adobe Spark released a beta version of the Adobe Spark Post app for Android. Users can now create graphics for their social media accounts from their phones. At the time of writing, the Adobe Spark Page app was only available for download on iOS. What are the Adobe Spark Page templates like? Adobe Page has templates for several different types of website projects, including creative portfolios and product pages. You can add the text, images and relevant icons for your business. Business owners can select a template for a landing page for their businesses, quickly and simply setting up your online presence. You are here: Home > Website Builders: All The Top Builder Brands Ruthlessly Reviewed > Adobe Spark Review: Does This Site Builder Live up to the Adobe Name? Previous: Jigsy Review: Underrated Sitebuilder. Here’s Why E-Commerce Buffs Should Avoid It. Next: IM Creator Review: The Builder Behind 11 Million Websites. We Put It To The Test.